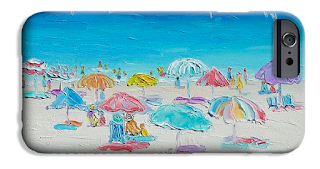 Bright and colorful umbrellas in this new beach print for tropical and coastal decor. Easter Bunny for nursery decor or the bunny lover! This rabbit print is also available as stretched canvas prints, acrylic, metal, framed, posters, phone cases, greeting cards, duvet covers, tote bags, beach bags and throw pillows. 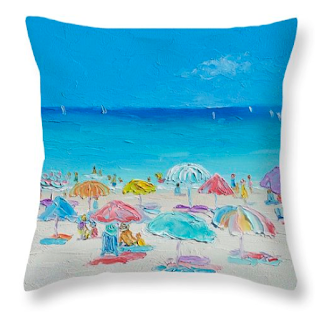 Original beach designs for coastal decor. Also available in matching designs are beach bags, duvets, shower curtains and phone cases.